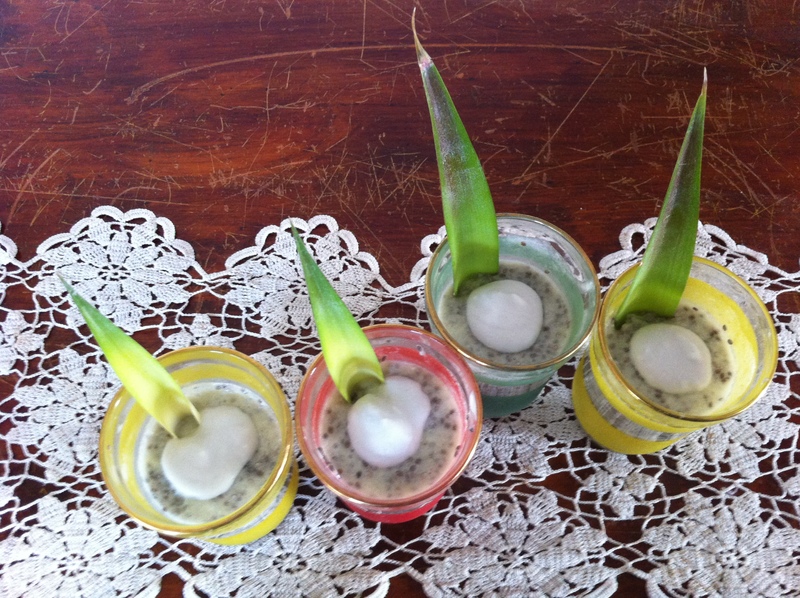 I made these summery treats for my 4 kiddlets. 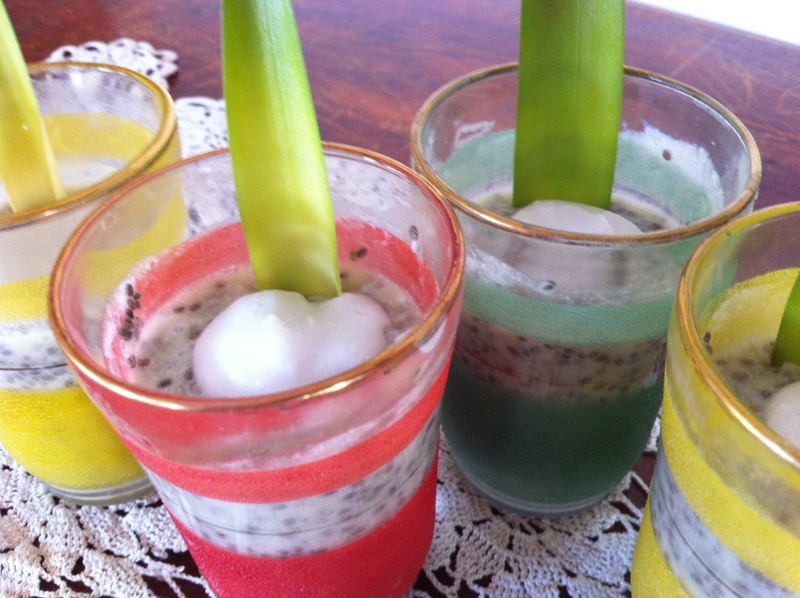 Sweet, super healthy, yummy and a bit of a novelty when served in a cute way. Blend all ingredients together. How smooth or chunky you want it is up to you, but I like it with a few chunks. I poured my mix into 4 x 100ml sized glasses and had enough left over to make a large one for me. You could use little jars or one big one if it’s just for you! Fill your container of choice leaving a little room at the top to stir in the chia seeds. 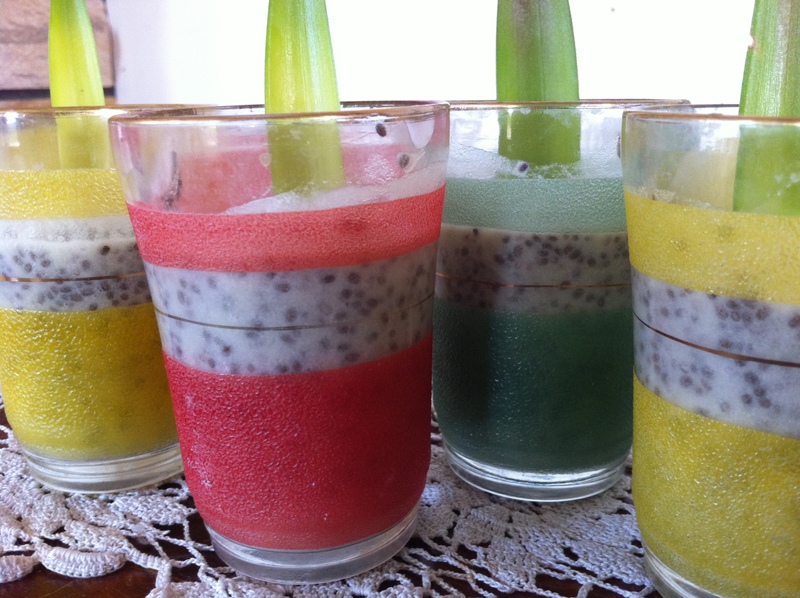 Then I mixed 2 tsp of chia seeds into each 100 ml sized glass and popped them in the fridge for about 2 hours to set. For every 100mls of fruity mix I added 2 tsp of chia seeds. Top with a little more coconut cream to serve. Enjoy!